Sonic is what got me into smash,so I’m glad he and the other third party characters still get to hang around…and geez hats off to Sakurai and Nintendo every playable character in a smash game is included…that’s crazy.and there’s still going to be newcomers…get lit ! 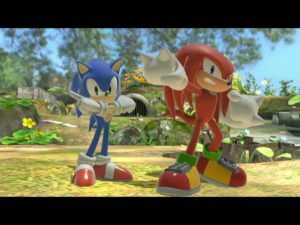 Knux is also an assist trophy. The Nintendo Treehouse stream confirmed that Knuckles is an assist trophy. Having either Shadow, Knuckles or Metal Sonic playable would be a dream come true. Fingers crossed. So knuckles and Bomberman are assist trophies 🙁 atleast there in it, do wish they were playable. They took out the skill of actually controlling quite a lot of characters final smash moves… looks hella boring now. Press one button to win. Fun. 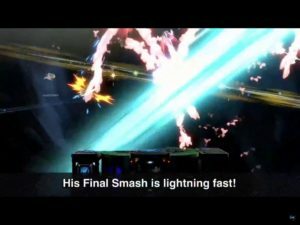 Final Smashes aren’t used in most competitive matches, and a lot of the updated ones look avoidable. Except Sonic’s, his looks broken as all hell. They’re pretty much trying to make Final Smash viable for the Competitive Scene, which I don’t mind. Turns out the Super Sonic can be avoidable. I saw one gameplay between Sonic and Bayonetta, she stayed below completely to avoid Super Sonic. So my guess is that Super Sonic is a more viable Final Smash in 3 or more player matches. 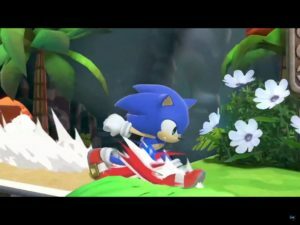 I’m glad they changed Sonic’s Final Smash, do you know how hard it is to control Super Sonic? Sonic better say “You’re too slow” or I’m going to be disappointed. If Knux is gonna be an assist trophy, does that mean Shadow will inevitably make it in as an Echo Character to Sonic? Since he is a faker, it’s best to substitute the Forward Spin Dash with Chaos Spear, and Chaos Blast can be his Final Smash, as Super Shadow. I dunno if it’s the same for all videos, but comments are disabled on the vid. Me oh my~ Would be a shame if Shadow were no longer in the game at all, would make it a little less Ultimate, though I don’t know how I’d feel if he were an actual character. Time will tell I suppose. December’s only 6 months away, a lot can happen!